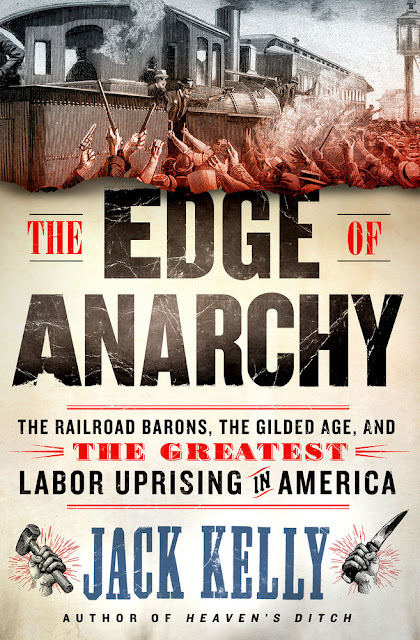 MY BOOK, THE MOVIE: Jack Kelly's "The Edge of Anarchy"
Christian Bale would be able to handle the role of Debs, as proven particularly by his work in The Big Short. The director of that film, Adam McKay, might be a good choice for his ability to explain a complicated situation. Plenty of action and suspense, along with some great Gilded Age period detail, with the contrasts between mansions and tenements, gala balls and sweat shops. The workers lose the strike, but Debs returns from jail in triumph as a hundred thousand supporters welcome him home. Cue the credits.